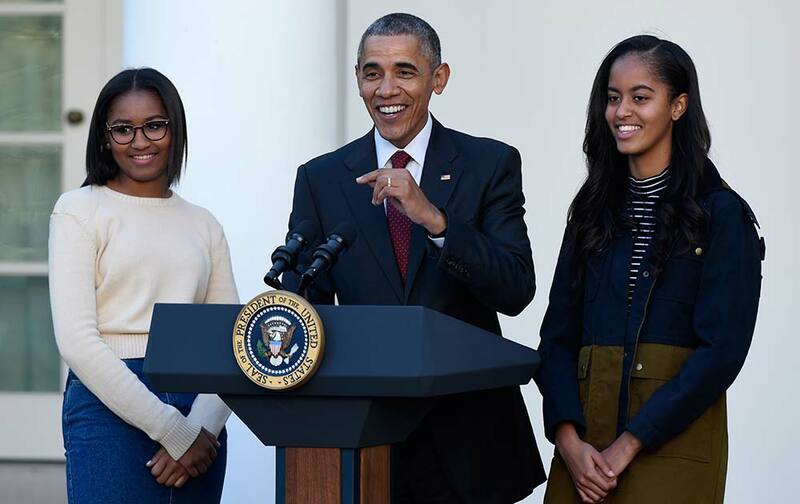 President Barack Obama, with his daughters, Sasha and Malia, speaks before he pardoned the National Thanksgiving Turkey Abe, during a ceremony in the Rose Garden of the White House in Washington. 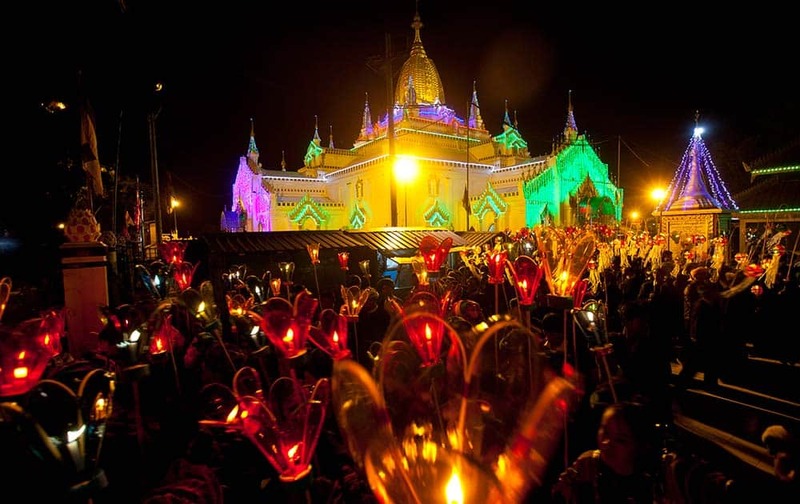 Ethnic Pa-O women march with paper lanterns during Tazaungdine Festival while Sulamani Pagoda is illuminated in Taunggyi, southern Shan State, Myanmar. 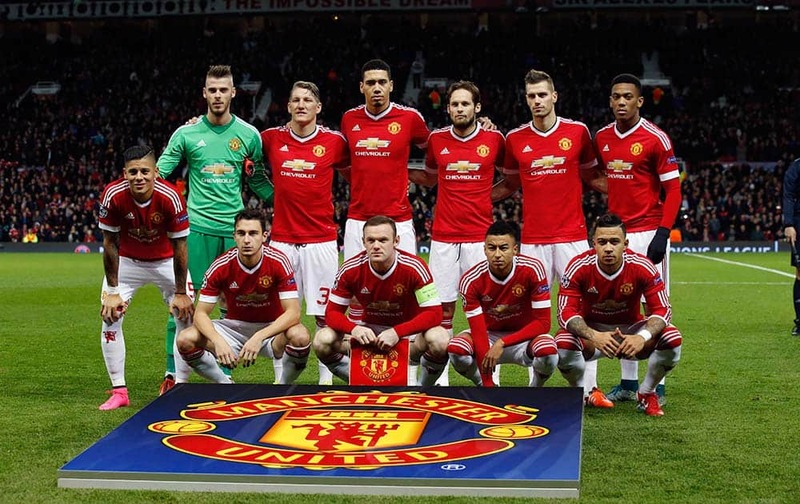 Manchester United's players pose for the photographers before the Champions League group B soccer match between Manchester United and PSV Eindhoven at Old Trafford Stadium in Manchester, England. 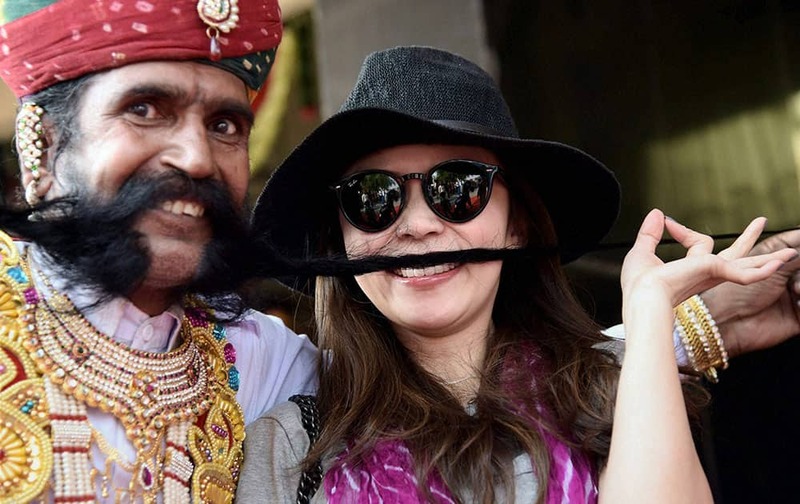 A Rajasthani artist showing his long moustache to entertain tourists in Bikaner. 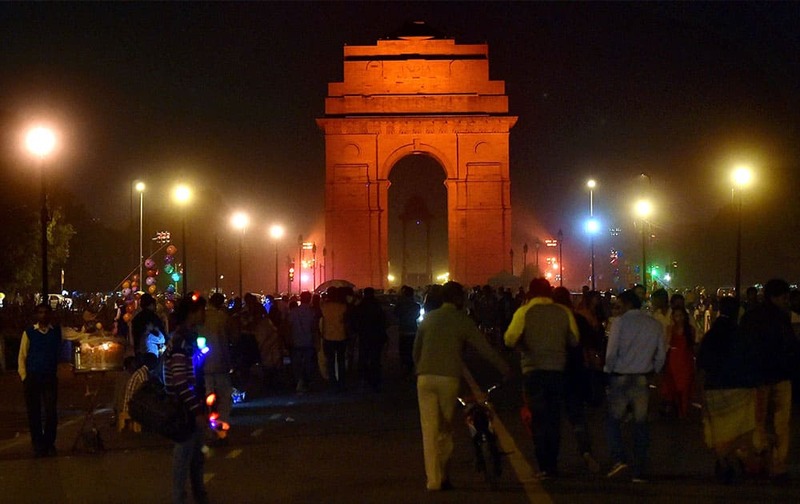 India Gate is illuminates in orange to raise awareness on ending violence against women in New Delhi. 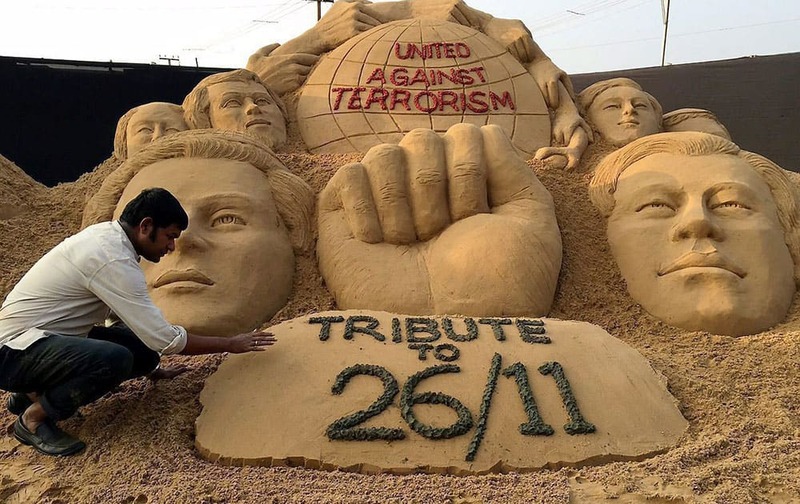 Sand artist Sudarsan Pattnaik pay tribute to 26/11 victims of Mumbai terrorist attack through his sand sculpture with message United against Terrorism at Cuttack in Odisha. 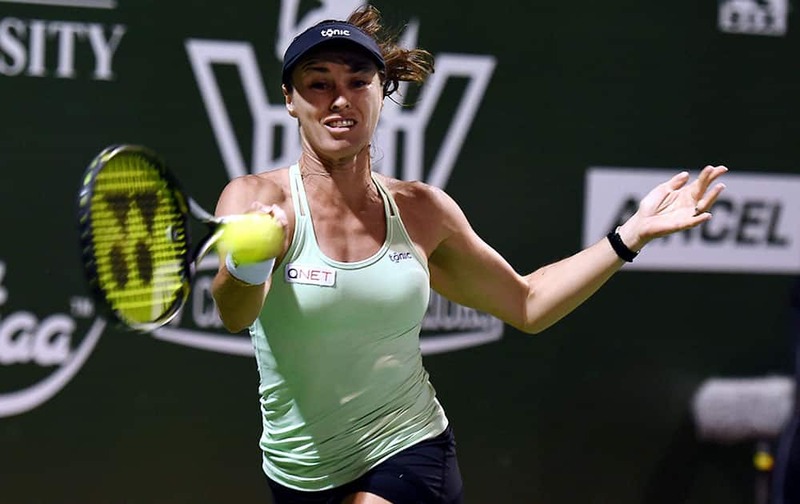 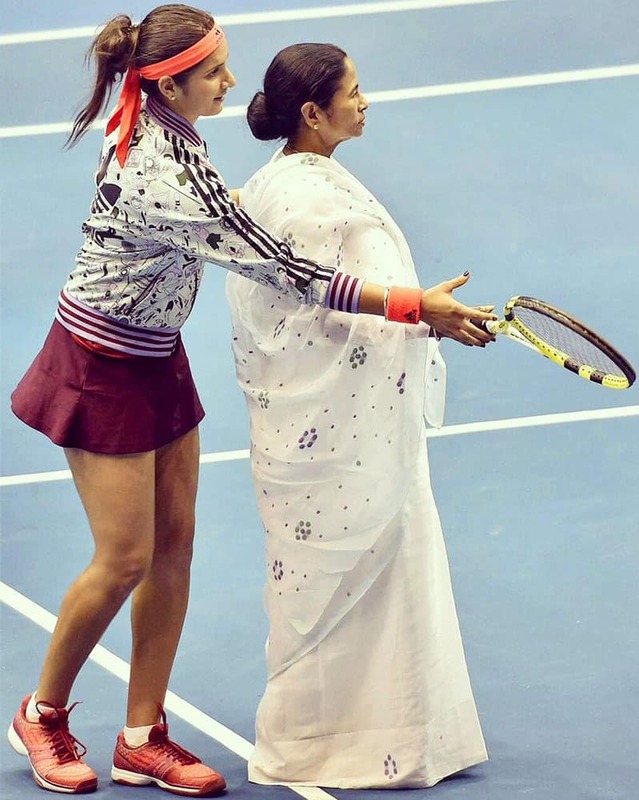 Hyderabad Aces Tennis Player Martina Hingis in action against Heather Watson of Chennai Warriors during the Champions Tennis League 2015 at SDAT Stadium in Chennai. 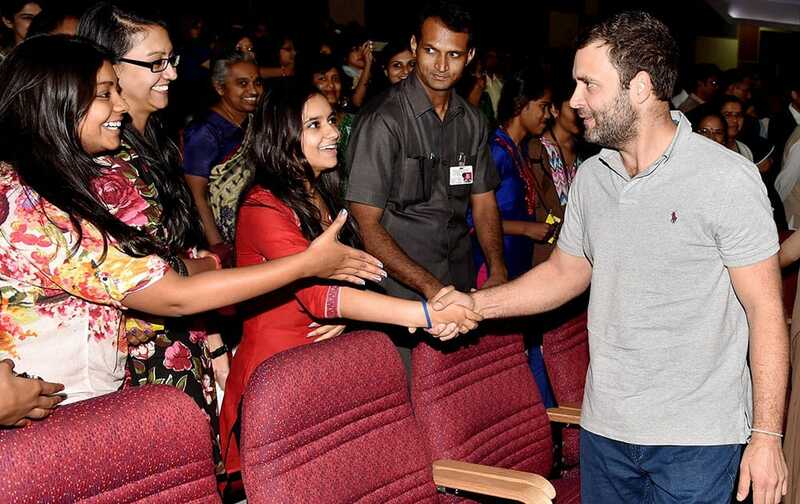 Congress Vice President Rahul Gandhi greet students on his arrival at a interactive session with students of Mount Carmel College in Bengaluru. 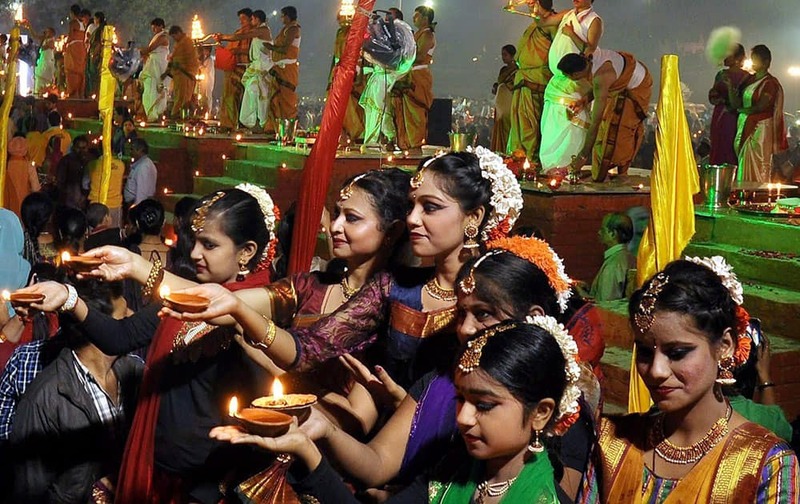 Devotees performing maha Gomti arti on the occasion Kartik Purnima on the bank of Gomti river in Lucknow. 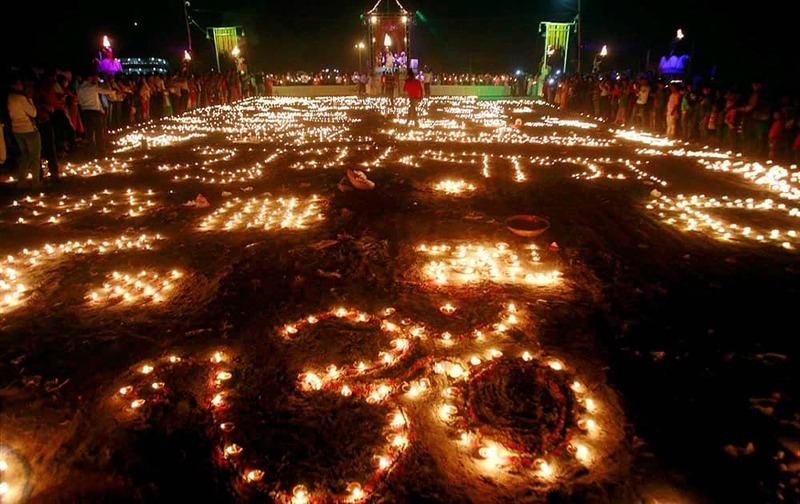 People light candles on the bank of river Ganga to celebrate Dev Diwali festival on the occasion of Kartik Poornima festival in Allahabad. 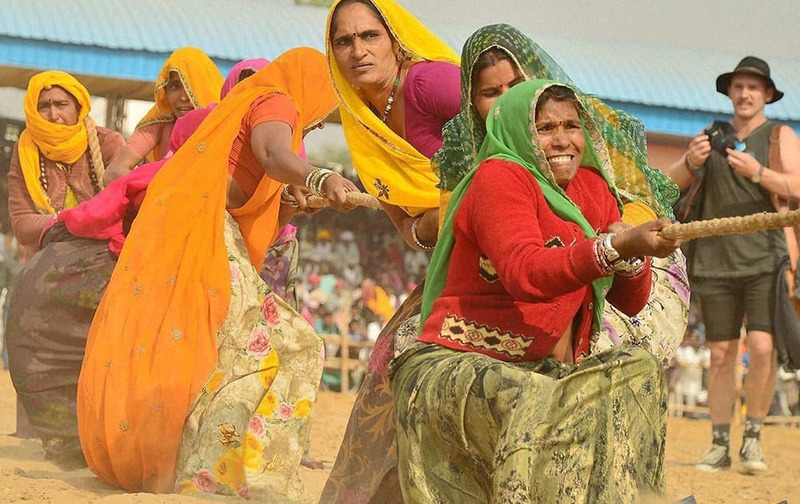 Women participating in tug-of-war competition at camel fair in Pushkar, Rajasthan.